Eight days more for Ghana to make big decisions and continue to prove to the world an African country can do well all by themselves in democracy. Sometimes, I even think we've passed the ''proving to the world'' stage. It's now time to prove to ourselves that we love this country. Love her to the extent that we will not allow ourselves to be manipulated to do anything wrong against her. Our vote is our voice like the good folk @GhanaDecides have been preaching. Nonetheless, our vote can't be our voice if violence of any kind erupts due to anyone's silliness and/or selfish interests. The message remains: Vote for Ghana. 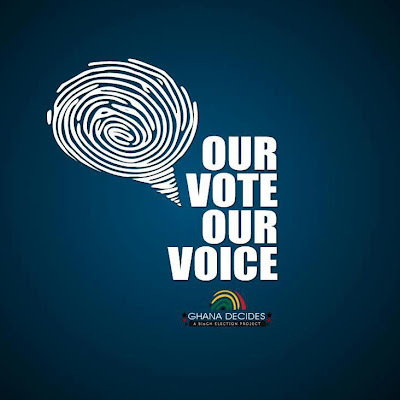 A vote for Ghana is peacefully going about casting your vote and not encouraging any wrong doing. Vote for Ghana ooo..yooo!! Tswa! Ni omanye aba.... yao!! !